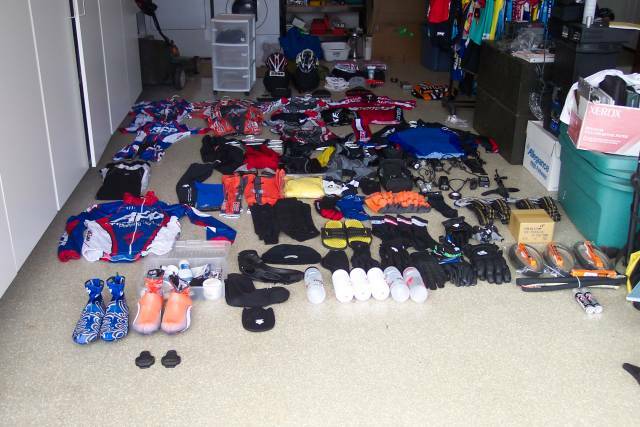 As I begin to draft my race report for RAAM I just wanted to throw this little display picture of all the stuff I thought I would need. 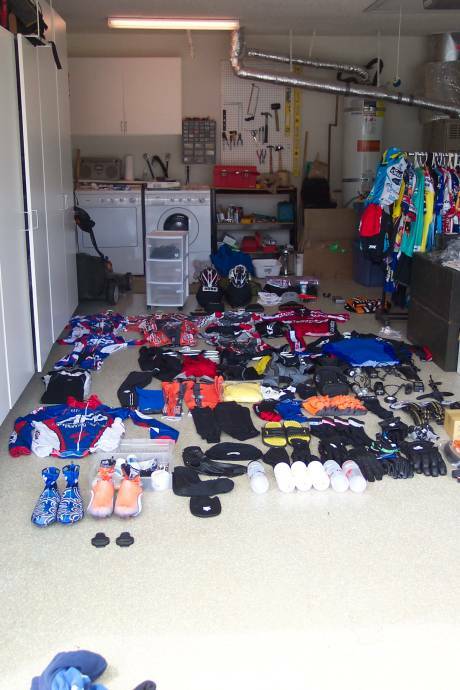 This entry was posted in RAAM by REV Cycling Directeur Sportif. Bookmark the permalink.